Product philanthropy has the potential to unlock a new economy, but while corporations are engaging in the model many charities are not getting involved, according to the founder of Good360. 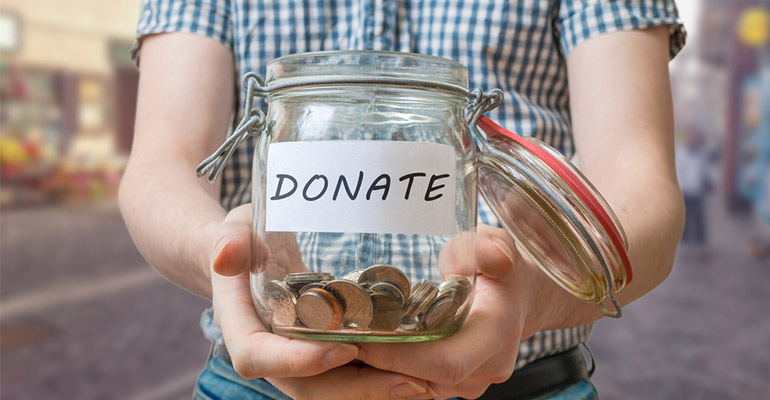 Alison Covington, who founded Good360 in Australia in 2015 to help companies donate leftover inventory to charitable organisations, said many organisations were still confused by the concept of product philanthropy. But she told Pro Bono News the last two years had shown it was a way for both the giver and receiver to see more benefits. “What we’re seeing is that product is hiding in warehouses and it’s a way of people being able to have the benefit of that,” Covington said. According to the not for profit, which has the goal of delivering $1 billion of goods to Australians in need, product philanthropy saves the charitable and not for profit sector time, money and resources so they can do more of what they do best. Product philanthropy is also a way for corporates to realise the triple bottom line of people, planet, and profits. She said since launching in 2015, Good360 has distributed millions of dollars worth of goods and was attracting big-name supporters who were sitting up to support “Aussie families who want access to these fabulous goods”. “We’re almost up to $30 million of goods circulating around here, which is not an insignificant number, looking at the impact that’s having here in Australia,” Covington said. “It has really quite evolved. You know we’ve got some big businesses working with us now. We just signed up Big W as part of that campaign that we’re pushing out for Christmas. But Covington said the uptake from charities had not been as big as they had expected. “One of the interesting things for us is that when we started we thought that charities would be bashing down our doors and we wouldn’t be able to keep up with the demand. But it’s more on the other side, that the businesses are more supportive than the charities,” she said. She said one of the challenges for Good360 was to rise above the noise. “I suppose one of the things we’ve struggled with is we’ve been underfunded and under-resourced, like all charities, so our ability to push out to the charities and let them know we exist is still very limited,” she said. “So we’ve got a lot of work to do to let charities know we’re here to help. We’re working with just over 500 charities and you know there’s 50,000 in Australia. So we still have to tell them we’re here to help. Covington said there was also a sort of scepticism from charities who were looking for the catch. “I’m not exactly sure we have our model 100 per cent right either because we do have a small shipping and handling fee that is a barrier for some of the charities, so there is a catch because as a charity ourselves we have to be funded, we do need to charge a fee and so for some charities that is the catch that they’re looking for,” she said. “At Christmas time we have waived that fee so they don’t have to pay that. And of course it is much easier because there is no fee. “But I do see that there needs to be some little contribution to the model because our donors are saying look we need to make sure that when they do draw on the model, they’re only taking reasonable usage of the amount of goods. So that’s what we’re looking at over the next couple of years is what is the right sort of balance if people want to draw on the goods, they contribute a reasonable usage based on their ability to pay but not more than their ability to pay. In 2016, Good360 fundraised $100,000 to run a Christmas campaign which offered all member charities Australia wide free shipping and handling. As a result, $2.3 million worth of goods were distributed to Australians during the month of November. In 2017, Good360 hope to grow their impact to deliver more than $5 million worth of goods during the 2017 Christmas Campaign, which is being run in partnership with national retailer BIG W and Pro Bono Australia. “Being very ambitious, rather than having modest growth of 10 per cent or something like that, we thought let’s go for double. Let’s just go gangbusters. Let’s go for $5 million,” Covington said. “We’ve got plenty of goods in the warehouse, there’s no point it sitting with us, we’ve got to get into the hands of the people who need it most.